Hi everyone. Now that summer is in full swing, sales have been much slower both online and in our booth . Thrifts and estates have been a bit slower for us too, though we've still been finding decent things. You might be hearing (even) less from us on the blog until Fall, as we're going to take advantage of the down time to work more on the house. 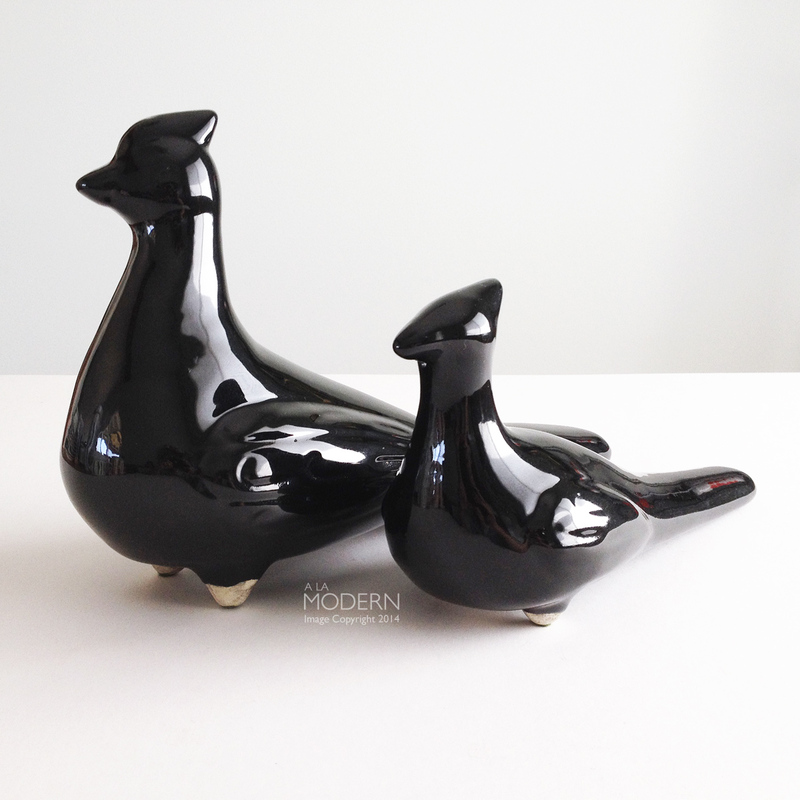 We continue to find decent Jaru items here and there, like this great pair of black birds. We've had this same set in green before, but these two actually had the original stickers still on them. They'd just put them out on the shelf, so I had to grab them fast. 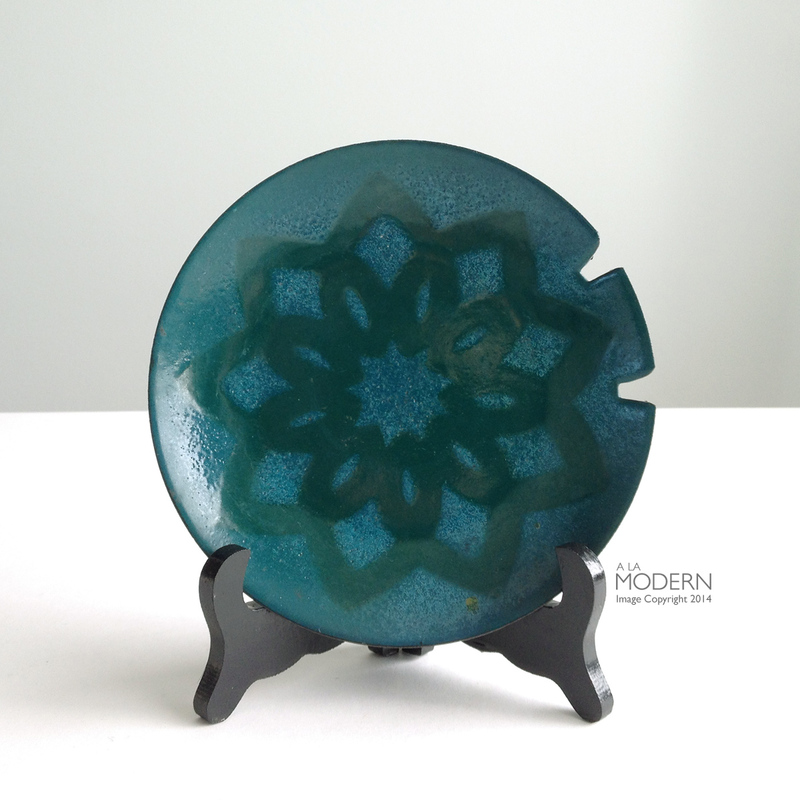 I've come across plenty of the Jaru "Starburst" pieces (as well as the very similar Cleminsons ones). But have never seen this monumental ashtray piece before. The lady at the estate where we picked this up was joking that you'd have to have 10 chain smokers to fill up this ashtray. 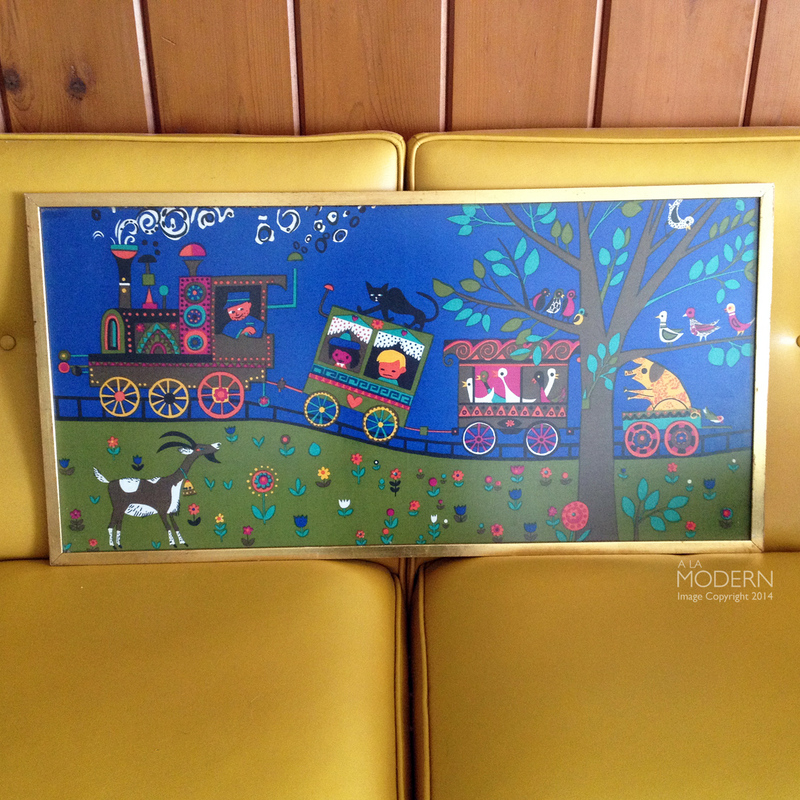 At another estate, I picked up this nice Hanova enamel by Charles Chaney. This one actually had the original tag still on it. Usually Hanova pieces we find are missing it. These two enamels came with the Hanova. They're marked "Noir" on the back - I could've sworn someone had found these before, but I guess I was wrong. Really nice designs on them though. 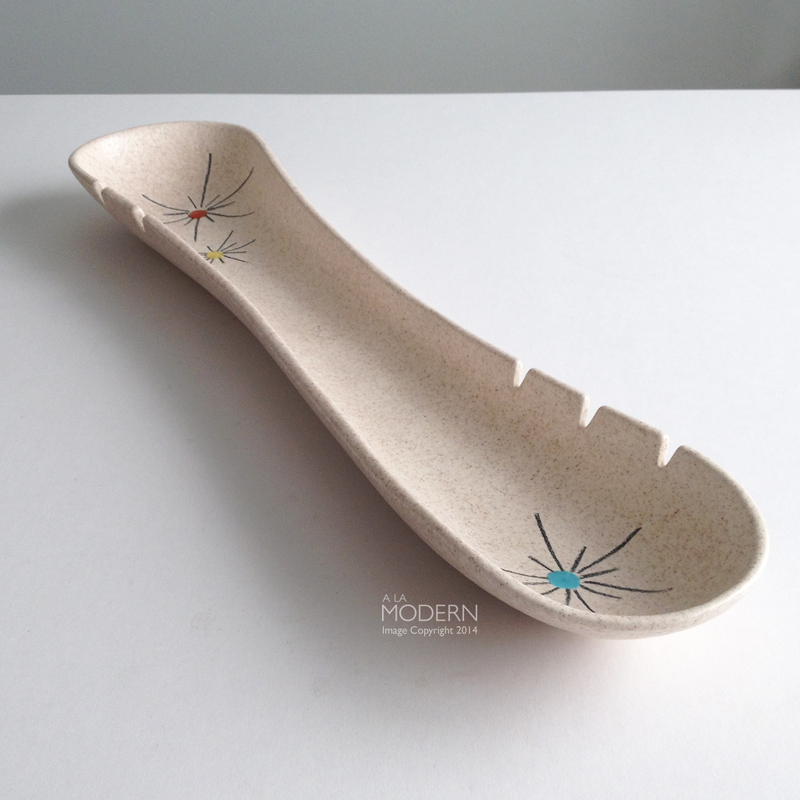 The glaze treatment on back is interesting - almost feels like Krenit. 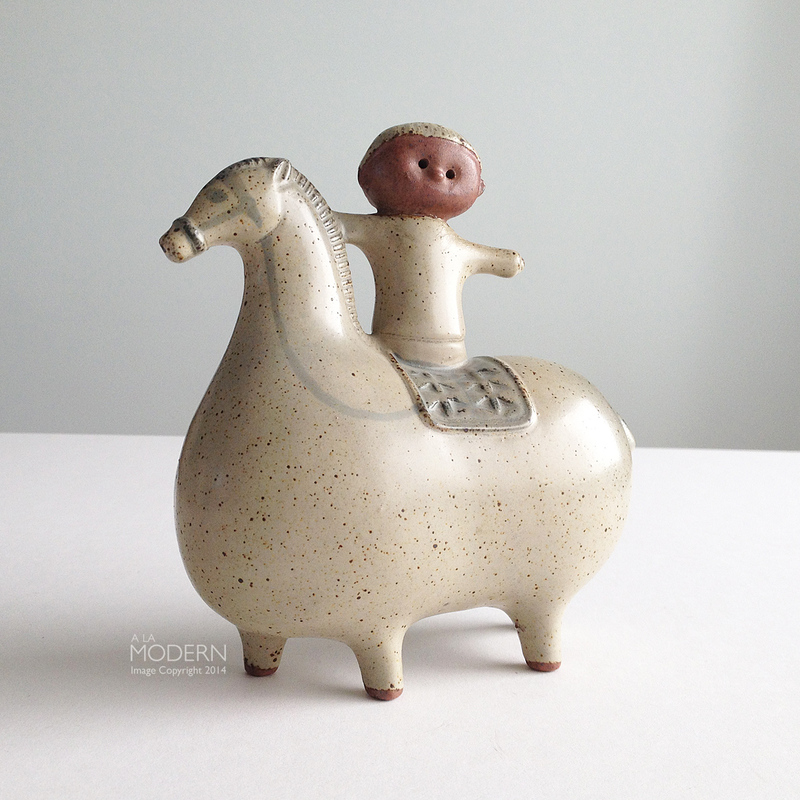 We found one of those "NOT Lisa Larson" boy on horse figurines. Has been de-bunked well, but they still seem to do OK. Good writeup on it on Bit of Butter's "Spotting the Fakes" expose. I got it mostly as a joke, but it turns out the head had cracked off - so the joke was on me I guess. 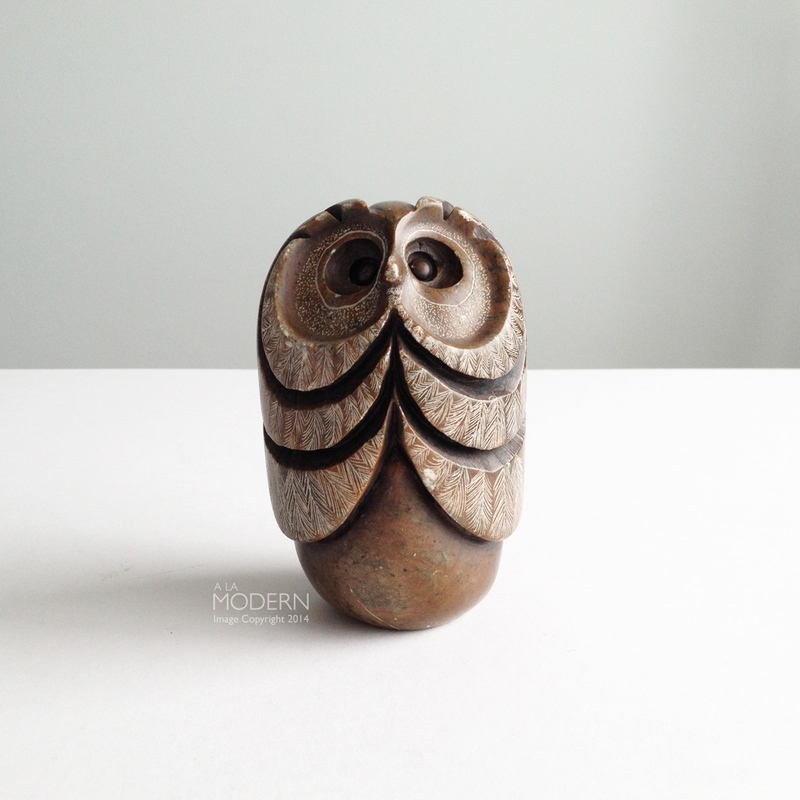 I almost passed up this Glenn Heath soapstone owl sculpture because of the wear it had. I had heard about them, but didn't realize that they commanded that kind of prices, even in this condition. Needless to say, I'm keeping a closer eye out for them now. At an estate I visited, someone ahead of me had picked out all the standard Bauer, Gladding and Metlox California pottery pieces - it was obviously a dealer. 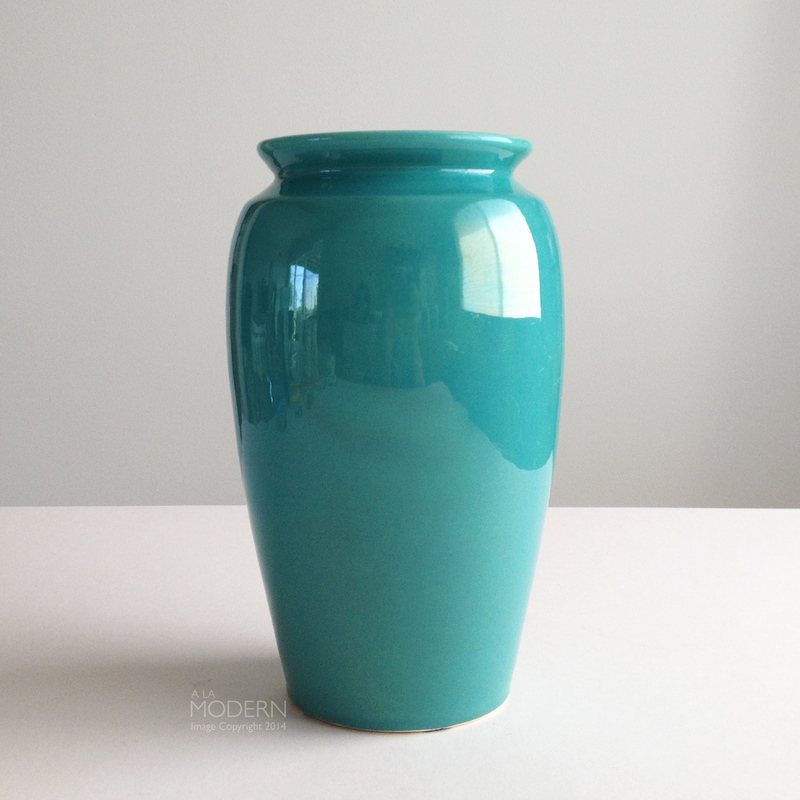 However, they walked right by the best piece in the bunch - this Fred Johnson 213 hand turned vase. We usually end up picking out 1-2 overlooked FJ pieces at least twice a year. I couldn't resist getting this fun framed kids fabric panel, even though it's so gigantic that it had to go into the booth. After I got home, discovered that it had "Made in Sweden" impressed into the wooden frame - not sure if the fabric is also Swedish, but guessing so and that these pieces were made and sold like this. 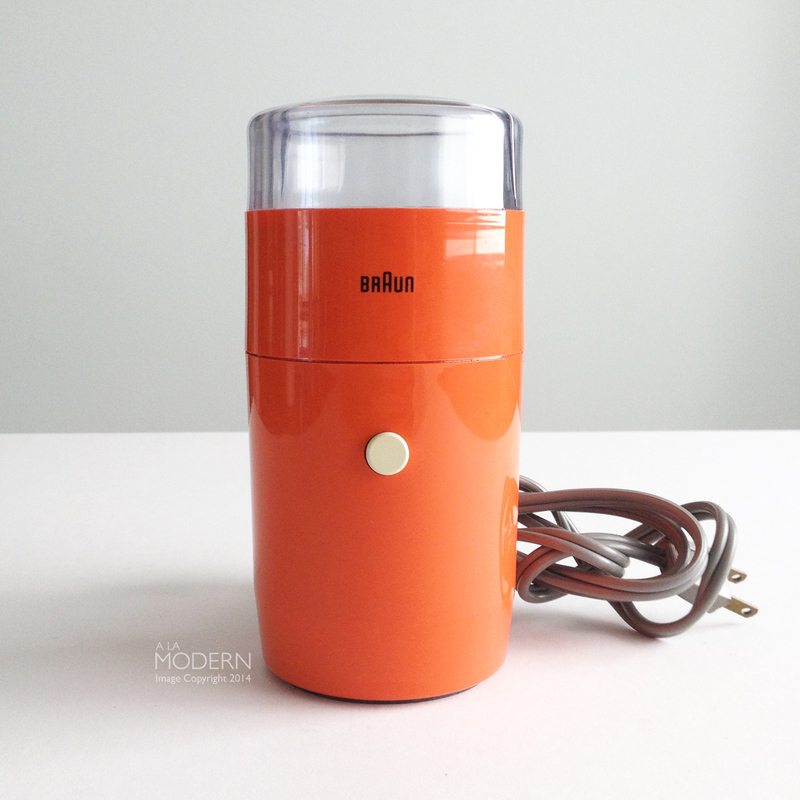 This is the 3rd time we've found a Braun KSM1, and I think they all came from the same thrift store. I'm not sure why , but I'm not complaining. It's clearly marked, but it could be that people see a coffee grinder and they just don't even bother to look - I know I certainly thought that way before I knew. 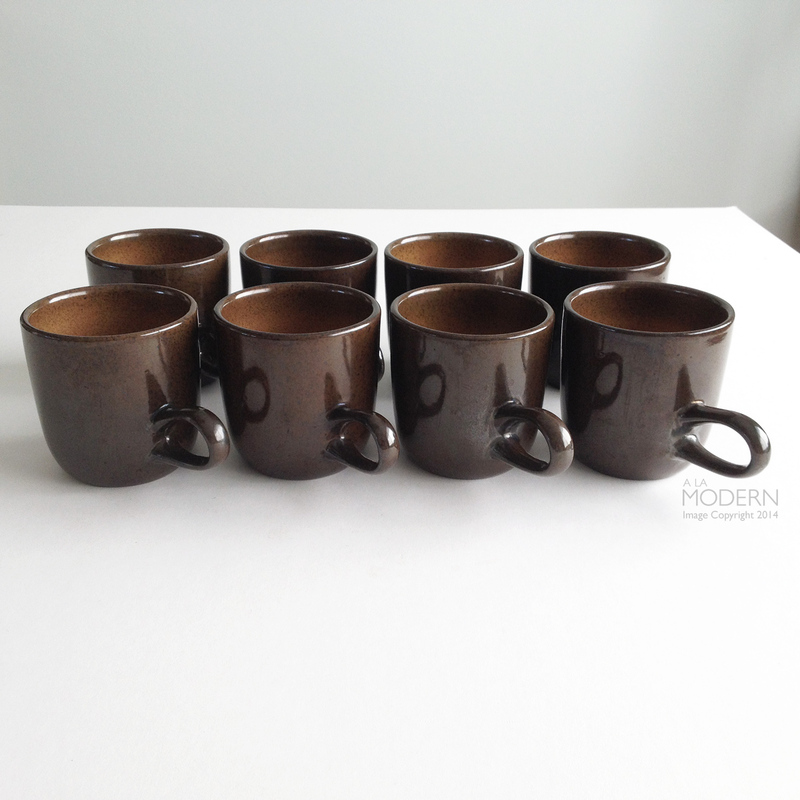 It was a thrill to find this many Heath Ceramics mugs in one place. These are the low handled variety, I think in the "Brownstone" glaze, but not sure. For some reason the estate folks hadn't looked it up, so we got a great deal on them. 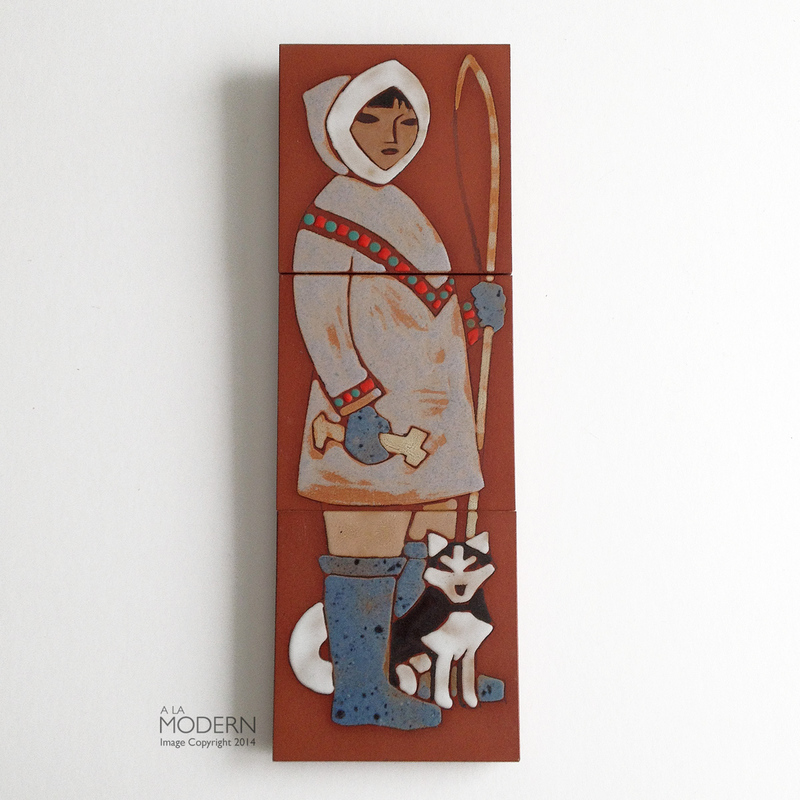 Lastly, I'd picked up this Inuit themed set of tiles thinking they were maybe 1970s-80s or so. But I was able to ID it as designed by Jean Jacques Spenard because our friends The Papers had found some tiles like it before. It was also interesting that they were a lot older, like 1930s-40s. And also, one of the tiles had come off and on the back it said "Germany". This definitely threw me off earlier, and made me think maybe it was even 1990s.